Prem Pal Singh Rawat could rightly be called "the king of truism." According to the English Dictionary, a truism is a statement which is obviously true and says nothing new or interesting; therefore it would be silly just to mention it. It’s incredible how many people have been gullibly deceived by this charlatan, just because he uses rhetorical sentences and repeats many obvious things for mention. Dear Professor : I would like to know the opinion of the Masters of Light about Prem Rawat, a person who preaches about the truth and peace. But I also have doubts because his disciples have denounced him as a corrupt person, because they say that his public image is one thing, but he is a totally different person in his private life, he lives a dissipated life of luxury, women and drugs. There is no need to waste time asking the Masters of Light to realize who this pseudo guru is. “By his own fruits you shall know him”, And I do not mean necessarily that he does not preach through the example, which is already something serious, but his teachings, or rather his alleged teachings are made of well-known teaching from many religious texts and in many cases are aimed to deceive people instead of giving a true message of Light. It’s not acceptable the way that this trickster deceives people in good faith with the story of knowledge that he really doesn’t have. The Master Jesus said: “By their fruit you will recognize them”. 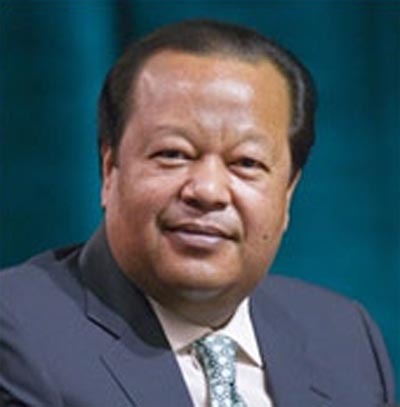 And what are Prem Rawat’s fruits? Only banalities disguised as profound truths! I've seen him on television and I heard the things he says. At first one is struck by his manner of expressing them, with a conviction that very few speakers have, but after few minutes of listening to him one realizes immediately that everything he says are only “obvious truths”. In addition he only offers a lifetime dependency on him, something completely opposite to the Free Will we all have. It’s a matter of common sense. No wonder how many people have been deceived by this false teacher, who only uses truism to reinforce some point in his speech, for example: “There are no roses without thorns” This is not bad, but when the whole speech consists of this kind of sentences, then that teacher is a phony. And of course he is a fraud, if he only asks money for donations for his own profit and who claimed once to be the “Lord of the Universe”. With what I have said so far you may have noticed that Prem Rawat is just one of the many deceivers we have come across. This entry was posted at Monday, May 21, 2012 and is filed under Who are they? . You can follow any responses to this entry through the .